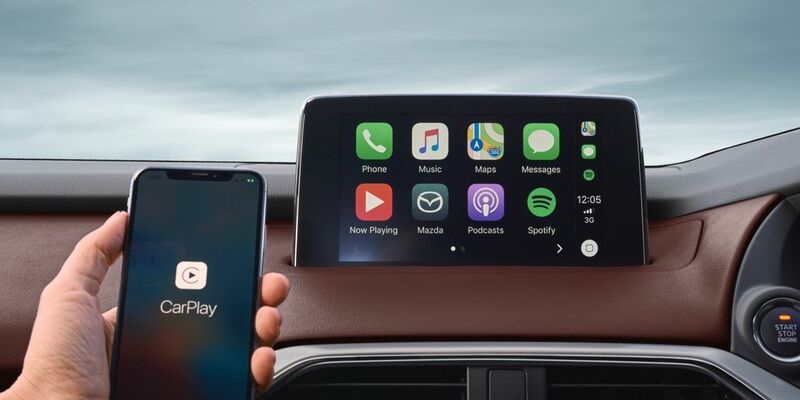 While the launch of most new Apple products seems to cause a frenzy of consumer craziness, the roll-out of Apple’s takeover of the in-car multimedia space has been a slower road, with Mazda, the latest company to get on board, even offering a retrofit of CarPlay for any older car with 'MZD Connect'. New Mazdas will also offer the smart-phone mirroring technology (including the Android Auto version) by the end of the year. Indeed, the new MX-5, launched this week, will be the last car not to come with it as standard. Mazda Australia is yet to confirm the pricing of the retrofit, but says it should be able to do so before the end of September. What the company is not sure of, despite constant questions from the media about when it will offer CarPlay, is just how much demand there will be. Mazda Australia marketing director Alastair Doak says it’s impossible to tell how much people want it, because a lot of customers have never experienced the clever tech. “Buyers aren’t really asking for it - are we seeing people walk out of dealerships because we don't have it? No,” Doak says. “It’s one of those things where members of the media drive hundreds of cars a year, some have CarPlay some don’t. The average person buying a car has had the same car for the past three years, so they’ve never tried it. “And maybe when they do try it they’ll go, ‘Wow, this is fantastic’. The best feature to me is the voice to text thing, it’s a safety feature, how many times are you driving along and someone asks you a question via text? So you phone them, and they never pick up. “And then there’s a charge for the software as well, and also the exchange rate is falling, against the yen, it’s the lowest it’s been in a while, so that doesn’t help,” Doak adds. Copyright (C) K-BLOG 2019 All Rights Reserved.